1. 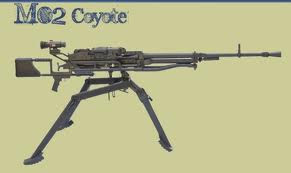 Primary purpose of Machine Gun M02 - Coyote is neutralization or destruction of living force or light-armoured vehicles on the ground, on water, at distances 2000m. It can be used for action at air targets. 2. 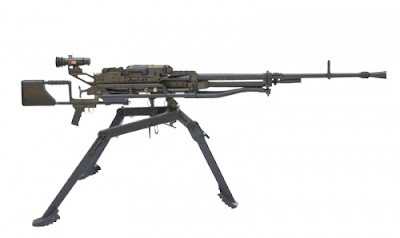 Machine Gun M02 - Coyote has a cradle that is set to a stable tripod. The tripod enables adaptation to various terrains. The machine gun has a pistol trigger mechanism and handgrip and also springs in the stock. These primary assemblies that enable accurate fire. 3. Aiming is done with optical sight or with front and rear iron sights. Technical data for optical sight ON-M80 are shown in Customer Service. 4. 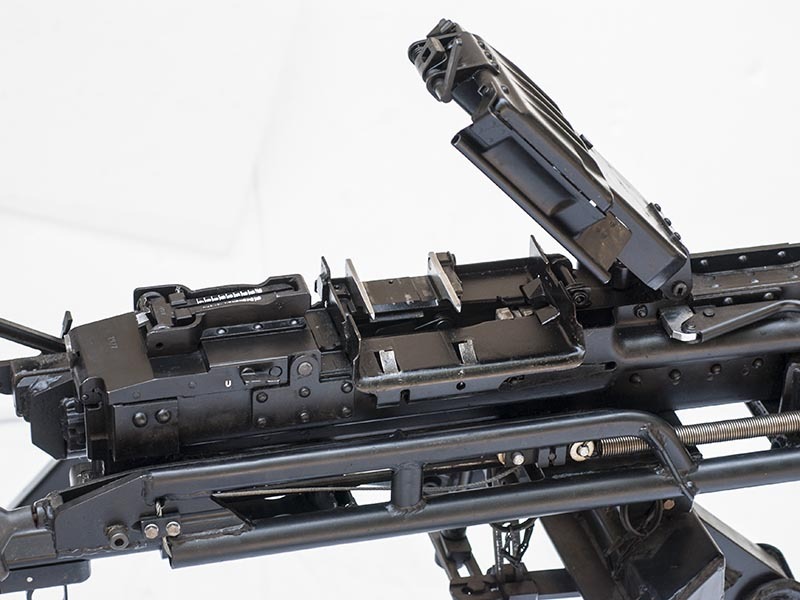 Machine Gun M02 functions without stoppages in all environments. 5. The barrel is made by cold forging, which guarantees its durability and permanence. The interior of the barrel is chrome plated, which provides unaltered ballistic characteristics for several thousands of fired rounds. 6. The barrel is quickly and easily stripped from the light machine gun, so when the gun is heavily used it is possible to cool it quickly and replace it with the spare one. The set of the gun contains a spare barrel. 7. During the fire, cartidge cases are ejected forward, which increases the safety of the shooter and the people near him. 8. 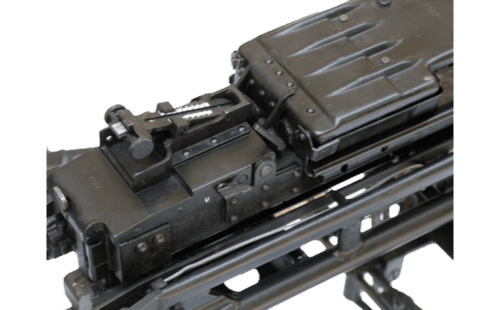 When conditions are extreme, the position of gas flow regulator can provide an adequate gas flow, so the light machine gun will always function reliably. 9. The machine gun is loaded from belts. The set of the gun includes belts and ammunition boxes for the transport of belts, with the capacity of 60 rounds. 10. Flash suppressor on the muzzle disperses powder gas and decreases the flash of the flame, hiding the position of the shooter. 11. 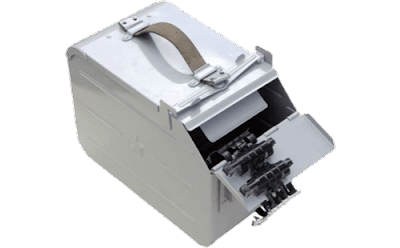 At customer's request, belt filler is supplied within the set of the machine gun. Manufacturer's suggestion: one filler is used for three guns. 12. Before leaving the factory each machine gun was rigorously tested and approved.